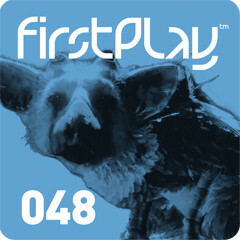 In this week’s episode of FirstPlay, you can find a look at the latest game from Team Ico, The Last Guardian, including an interview with chief creative director Fumito Ueda. Episode 48 will be on the Store from this Wednesday, and apart from the awesome Last Guardian it also includes a preview of PlayStation Move title No More Heroes: Heroes Paradise. On top of that you can find a review of movie RED on Blu-ray, an interview with developer Traveller’s Tales about the history of the Lego games, a round up of surprise endings on PS3 and a look at some of the latest downloadable games on the Store. There’s also a round-up of the latest PSP comics, and our regular screenshot galleries, which this week include looks at Crysis 2, Deus Ex: Human Revolution and Lord Of The Rings: War In The North.